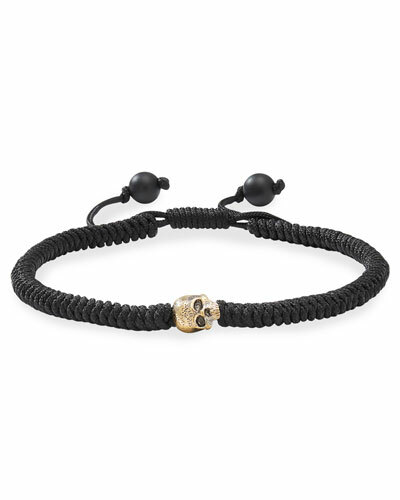 Incredibly artsy and fashionable, premium fashion label David Yurman offers jewelry pieces made from rare gemstones, high-quality materials, and precious metals. 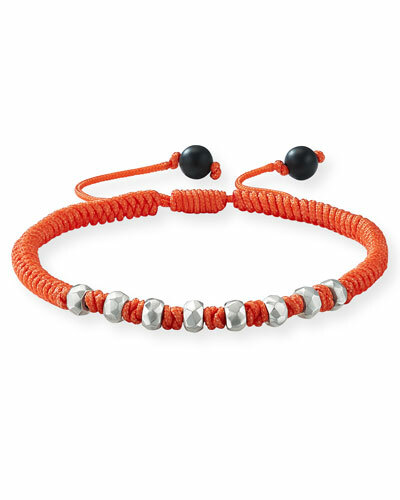 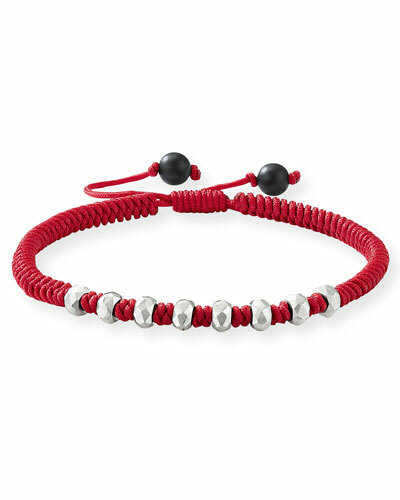 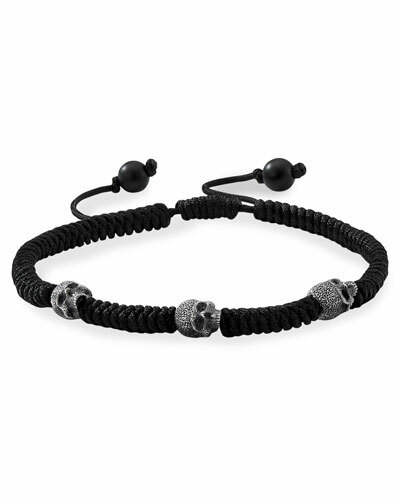 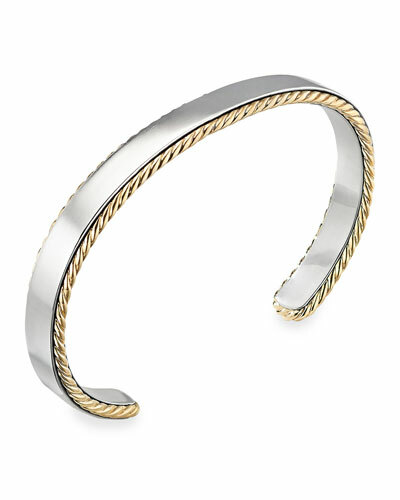 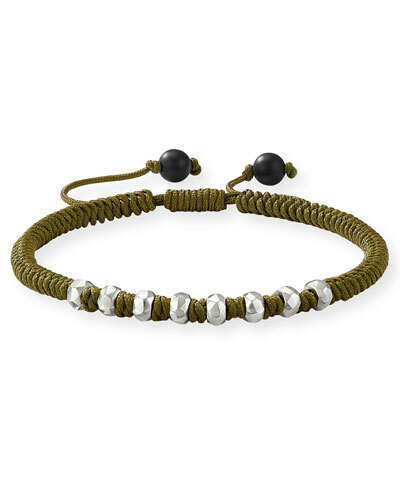 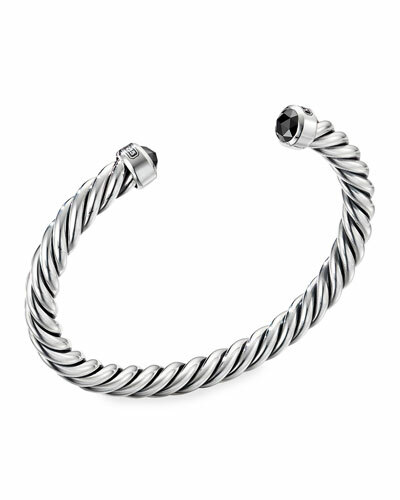 Founded by sculptor David Yurman and his wife, Sybil, in 1980, the New York City-based fashion jewelry brand is best known for its signature cable bracelets. 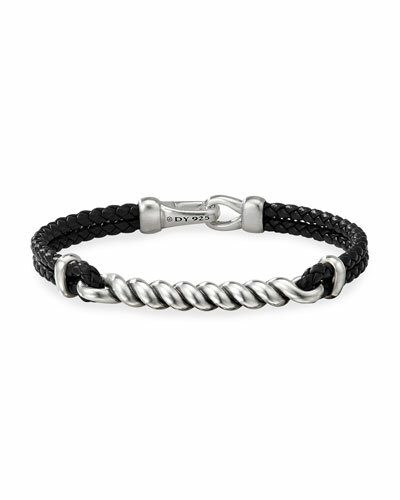 David Yurman men’s bracelets collection exhibits the brand’s excellence in the field of jewelry creation. 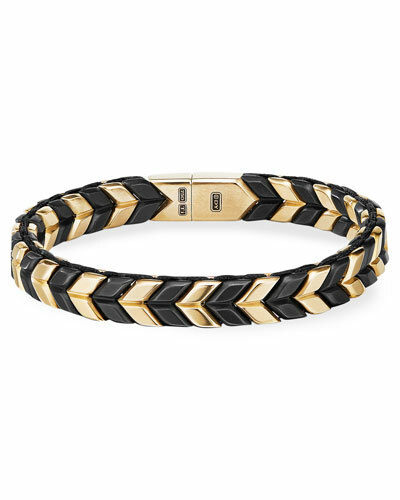 The concept and ideas are inspired by the Beat and San Francisco Renaissance cultural movements with each creation having a distinct characteristic. 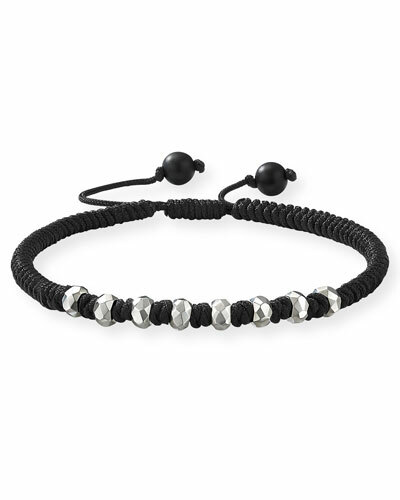 Accessorize your ensemble with David Yurman bracelets for men including David Yurman Cable ID bracelet, leather cuffs, leather bracelets, and more available at Neiman Marcus.